Life isn’t always easy after a deployment. That’s where Vet Centers can help. Vet Centers across the country provide a broad range of counseling, outreach, and referral services to combat Veterans and their families. Vet Centers guide Veterans and their families through many of the major adjustments in lifestyle that often occur after a Veteran returns from combat. Services for a Veteran may include individual and group counseling in areas such as Post-Traumatic Stress Disorder (PTSD), alcohol and drug assessment, and suicide prevention referrals. All services are FREE of cost and are STRICTLY CONFIDENTIAL. They understand, and most of all, they care. They are the people in VA who welcome home war veterans with honor by providing quality readjustment counseling in a caring manner. Vet Centers understand and appreciate Veterans’ war experiences while assisting them and their family members toward a successful post-war adjustment in or near their community. Vet Centers provide community-based counseling, outreach, and referral services to eligible Veterans who served in any combat zone and their families. Services include counseling for transitioning and readjustment, military sexual trauma, and issues related to marriage, family, and bereavement. Referrals to VA mental health care, employment, education, and other services and benefits are also provided. More than 300 Vet Centers are located throughout the United States. Veterans living in rural areas may also access these services through Mobile Vet Centers (MVCs), which travel from county to county to reach as many Veteran as possible. Learn more about Vet Centers and MVCs or find one near you for fast access to quality VA care. We are the people in VA who welcome home war veterans with honor by providing quality readjustment counseling in a caring manner. Vet Centers understand and appreciate Veterans’ war experiences while assisting them and their family members toward a successful post-war adjustment in or near their community. Does VA have readjustment counseling for family members? YES. Family members of combat Veterans and Service members have been eligible for Vet Center readjustment counseling services for military related issues since 1979. Am I eligible for Vet Center readjustment counseling? If you, or a family member, served in any combat zone and received a military campaign ribbon (Vietnam, Southwest Asia, OEF, OIF, etc.) then both you and your family are eligible for Vet Center services. VA’s readjustment counseling is provided at community-based Vet Centers located in easily accessable neighborhoods near Veterans, Service members, and their families, yet separate from VA organizational sites to ensure confidential counseling and reduce barriers to care. All Vet Center services are prepaid through military service. Contact your nearest Vet Center through information provided in the Vet Center Directory or listings in your local blue pages. Vet Center staff are available toll free and around the clock at 877-WAR-VETS (927-8387). Are Vet Centers open during non-traditional hours? Yes, all Vet Centers maintain non-traditional appointment schedules, after normal business hours, to accomodate the schedules of Veterans, Service members, and their family members. Vet Centers are your FREE and CONFIDENTIAL gateway to all you’ve earned. For starters, they’ll help you get registered with the VA, file claims and appeals, and assist you in navigating the path to dealing with whatever issues are causing your difficulties. They will help you directly, with our highly trained, empathetic and effective staff (most of whom are vets themselves), and we can get you to the specialists you need, to live your best life. We will listen carefully, in confidence, to what is really going on and provide strong, compassionate help, in any way or form you need it. Confidential, even from the VA. Even though Vet Centers are part of the VA, they are set up to be confidential. If you have VA records, your Vet Center counselor can see them. But the VA cannot see your records at the Vet Center, so you can talk about anything and the VA or your commander will not know that you even had an appointment. Vet Centers are a part of the VA. The VA pays all the costs, so it is FREE to you. 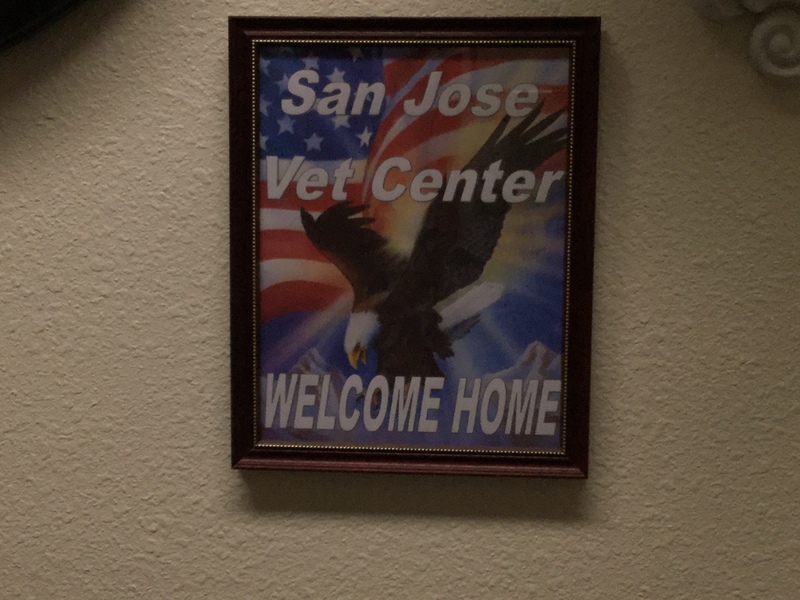 What can the San Jose Vet Center Do For You, above all other Vet Centers? THE SAN JOSE VET CENTER IS THE #1 VET CENTER IN THE NATION. 85% of Our counselors are also Vets. We have felt your pain and support your choice to move forward and reclaim the life that is yours by right. They have separate counselors, entrances and even bathrooms for female Vets. They have a monitored children’s playroom, so you can see your kids just a few yards away, on screens in your room, while with your counselor. They have counseling for your family, significant other and care givers. They have the support of vast networks who help provide the extra services that are not part of the VA.
Arguably the most active Advisory Council in the US. Producing 16 veteran events a years, including the Veterans Resource Fair, with 50 organizations offering Jobs, Job training, Help with Housing, coordination with other service providers, etc. along with hundreds of vets and their families. Coordinating with other community services groups, and several colleges, Scout troops, churches, etc., for outreach, volunteers and as job, training, clothing and housing resources. As with all Vet Centers, it is FREE to Honorably Discharged Veterans. But the San Jose Vet Center also takes care of active duty military, as well as their family, friends and caregivers. In addition to the above, there may be additional Federal, State and Local Government resources for you. Go to our Landing Page and check all the boxes of issues you want the help you've Earned. Enter your zip code in the box at the bottom, press "search" and you will see the Local Community service providers for your issues, in additional to your local VSO and other government resources. Be sure to check off the "Claims and Appeals" box to maximize your compensation and benefits for yourself and your loved ones. It's your turn to get your best life back! You've EARNED it with your service!